The study of light is known in science as optics. This half-term our class will be studying how light travels and what effects this has on Earth and in the rest of Space. We will be learning that eclipses are just giant shadows. We will be learning that light travels in straight lines except when encountering black holes because gravity is a stronger force than light. We will be learning how Albert Einstein – amongst many other brilliant scientists – built our understanding of optics. We will be learning that sound waves behave in different ways to light waves – and building a periscope to prove that point! Click here to learn about famous scientists involved in researching optics. Click here to learn about important vocabulary related to optics. Click here to learn about practical activities you can complete at home to develop your understanding of light. Click here to view some optical illusions. Click here to learn about black holes and click here to learn about light in stars, galaxies and other parts of the universe. 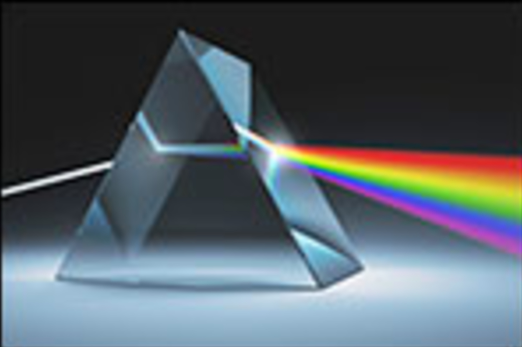 Click here to learn about prisms and how light is made up of seven different colour – you may have seen them before (it’s a rainbow!). What can you see when there is zero light? Why do we see such detailed images of objects in mirrors? Odd One Out: Moon, a torch, a light bulb. Why do shadows change shape during the course of the day? Always, Sometimes, Never: Light travels in straight lines. What if objects cast shadows in the shape of the source of light? If you wanted to create an opaque painting what colours would you use to create it? What if light didn't travel in straight lines and could travel around corners - would we still have shadows? Why is a Black Hole completely black and devoid of light? True or false? Black is a colour. Why do we ‘see’ history when we look at stars? Write a brief explanation of how periscopes work? What is the problem if the mirror moves position on a periscope? What if light could travel through opaque objects in the same way as sound does? Cool Light Refraction Science Experiment In this Video we show you the steps to conduct this cool science experiment and you can follow along at home using a few common items. Enjoy the video!